The gift that keeps on inspiring. 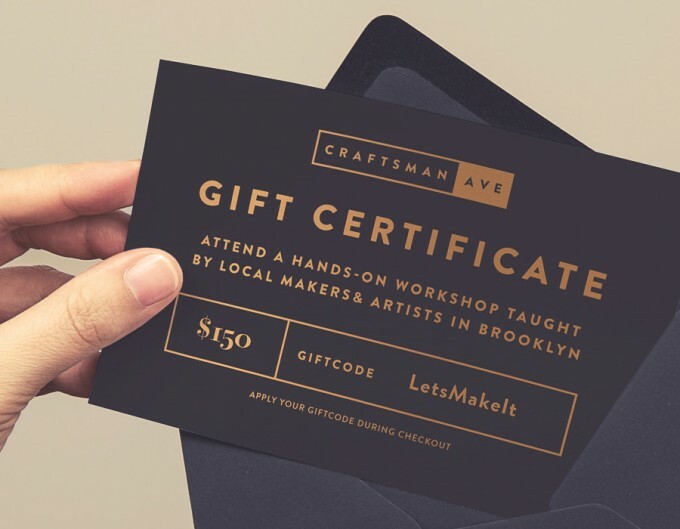 Craftsman Avenue gift certificates are now available and can be used for any workshop at the Craftsman studio. Give the gift of experience & the joy of a newfound craft. After you purchase your gift, we will send you a personalized digital gift certificate.